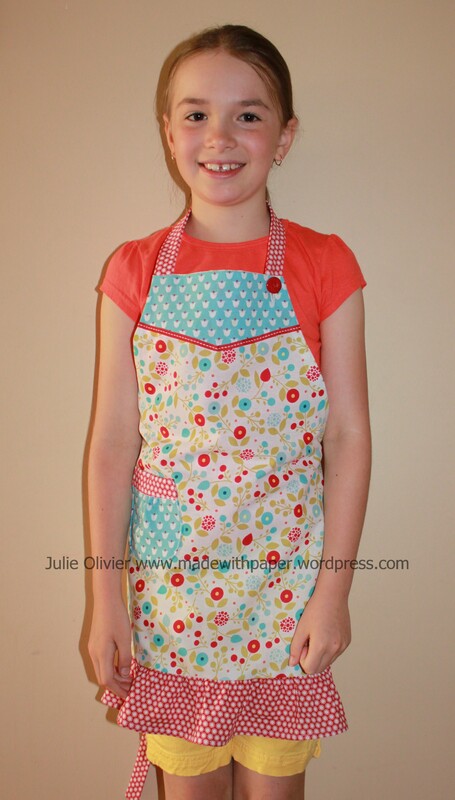 Here’s my daughter wearing the apron jus before I had to send it! Summer Smooches Designer Fabric; Bright Designer Buttons; 1/4” Stitched Grosgrain Ribbon, Whisper White Baker’s Twine; Stampin’ Dimensionals, Gue dots, Multipurpose Liquid Glue; Paper Snips; sewing thread, sewing machine, floral wire stem. Fabric Frenzy: 50% off all Designer Fabric for one week only! Today’s the day! For one week only, all of our beautiful Designer Fabric is 50 percent off! Our Designer Fabric is designed to coordinate with Stampin’ Up! inks, paper, and other accessories, and is perfect for adding a stylish touch to traditional paper projects. Available in extra-wide fat quarters (18″ x 26″). 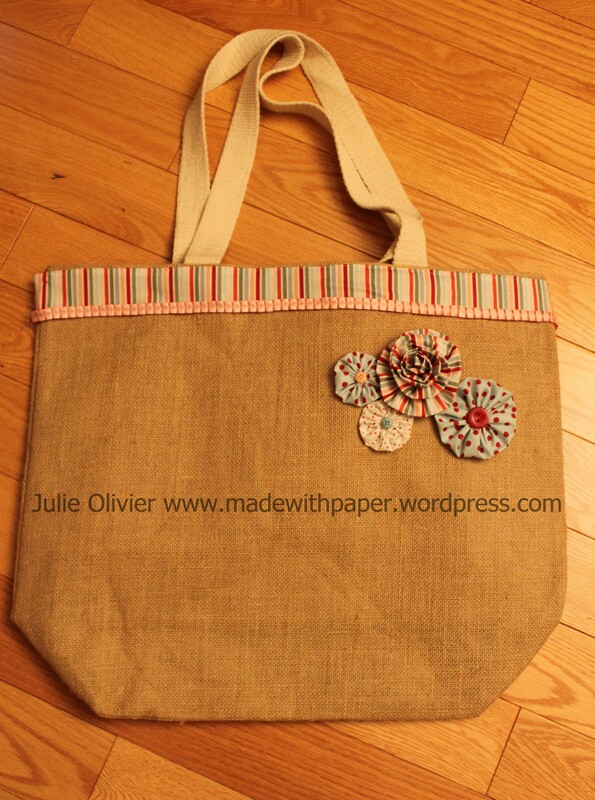 Use it for quilting, clothing, home décor, and more! 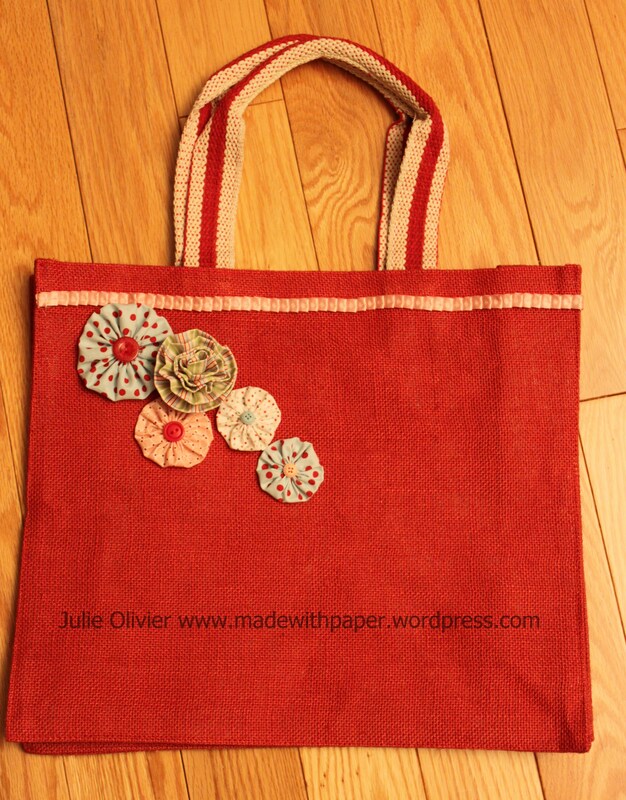 Need ideas for using fabric? Click here to watch a video filled with fun ideas! Great ideas for non-sewers too! 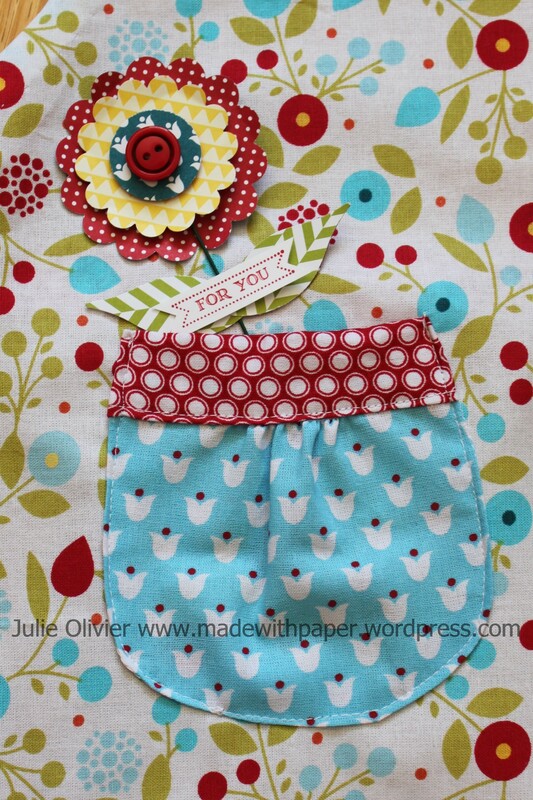 You can check out all of Stampin’up Designer Fabric here. Regular price is $12.50, now on sale for $6.50 for 3 extra-wide fat quarters (27″ x 18″) of 3 coordinated designs. 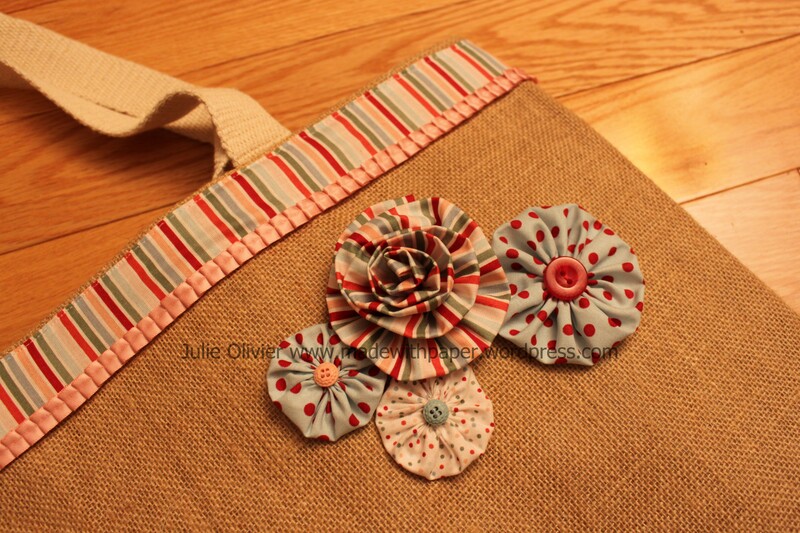 Here’s two bags I made as a Thank you gift for someone in my downline. 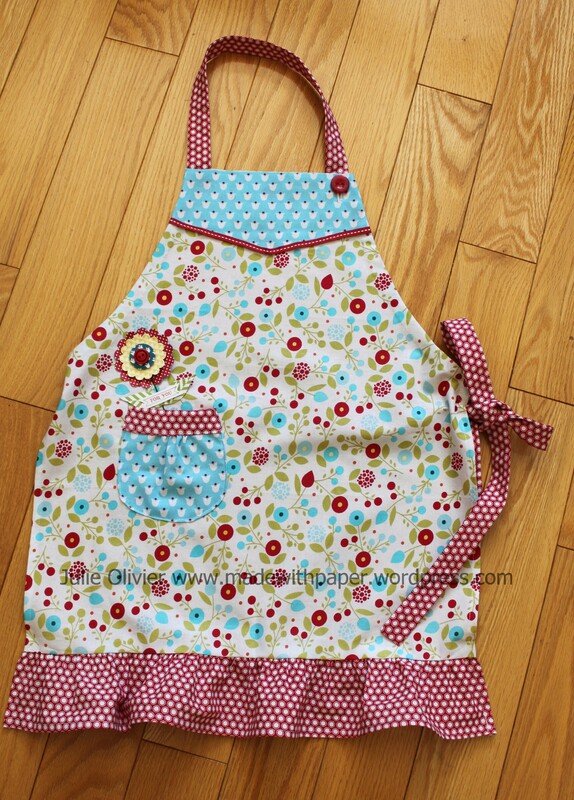 I used the Twitterpated Designer fabric as well as the Cotton Candy fabric (now retired). 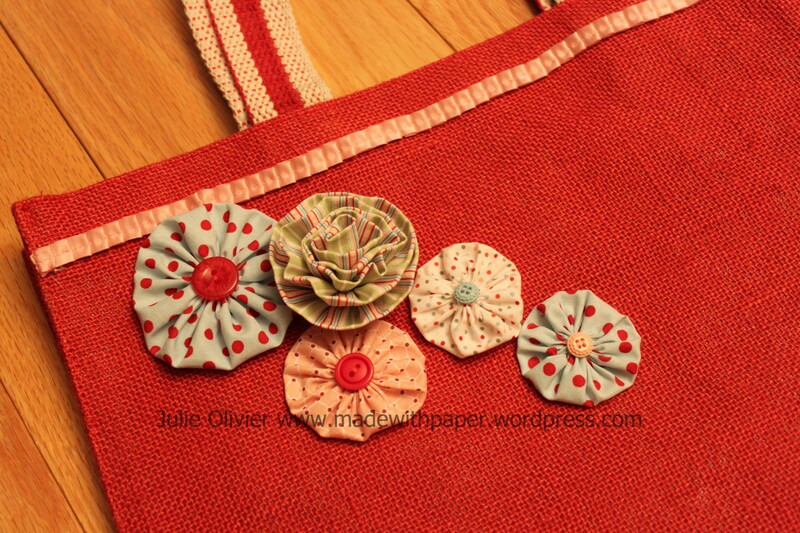 To make the flowers, I cut a circle of fabric and hand sew all around. Then you pull on your thread and gather the fabric in the center. Glue or sew a button on top. 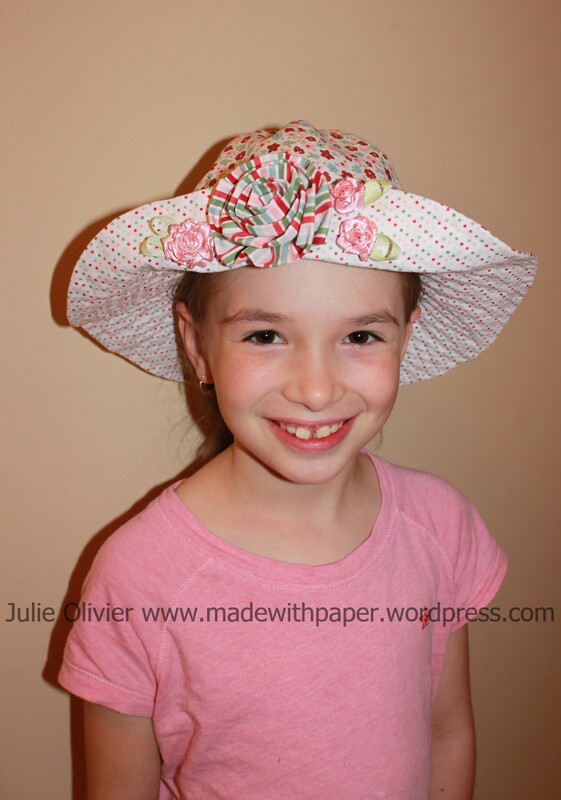 For one of the 3D item, I made a girl’s hat using Stampin’up fabric and ribbon. 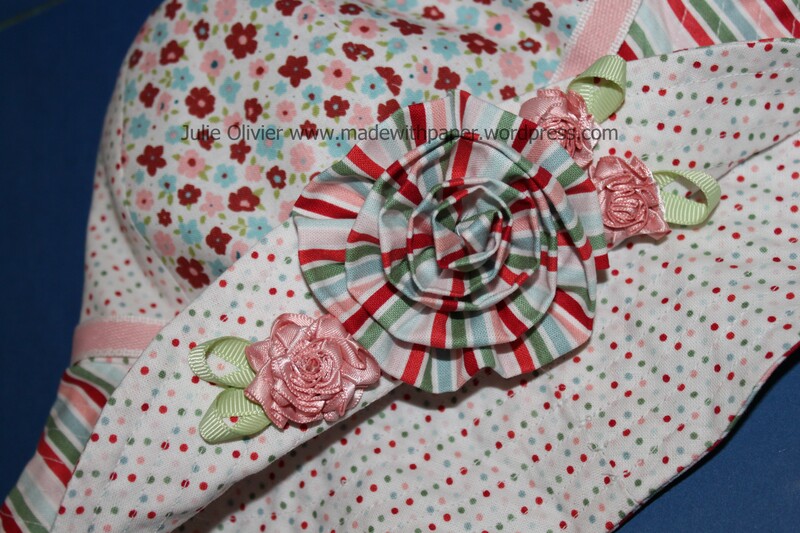 I made the small roses myself with the pleated Satin ribbon and used the grosgrain ribbon as the leaves. 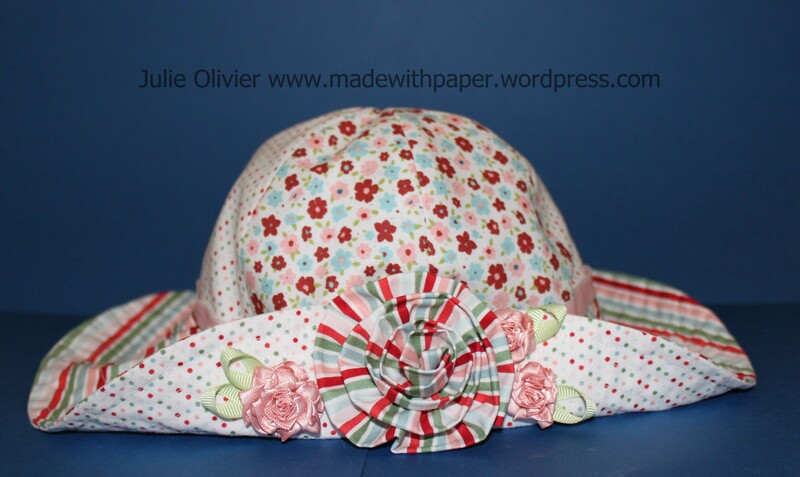 The big rose was made with the Candy Cane Christmas Designer fabric. Material Used: Candy Cane Christmas Designer Fabric, Twitterpated Designer Fabric, Blushing Bride 3/8” Pleated Satin Ribbon, Blushing Bride 1/2” Stitched-Poly Ribbon, Certainly Celery 1/4” Grosgrain Ribbon, sewing thread, interfacing (white cotton fabric), sewing machine.